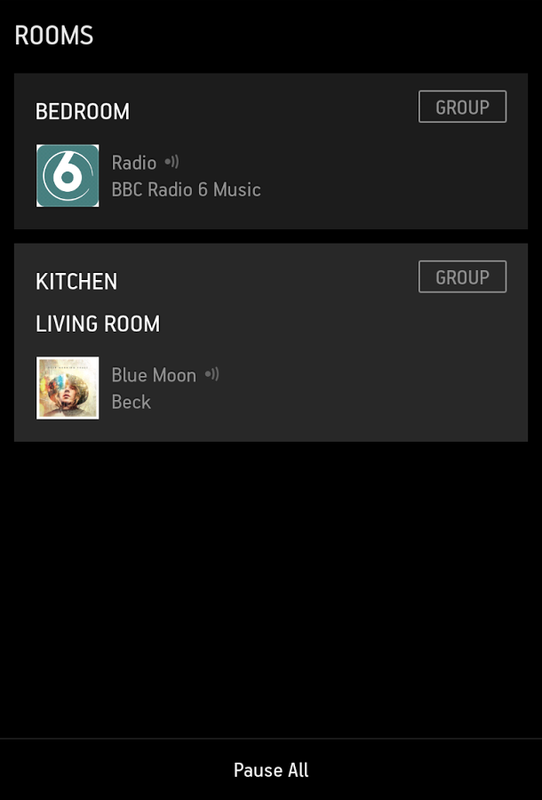 The Sonos Android app has been long overdue for an update, previously sporting a UI that looked out of date four flavors of Android ago. When version 5 hit beta, it brought about a much needed refresh, introducing a UI that looks just fine on KitKat devices. 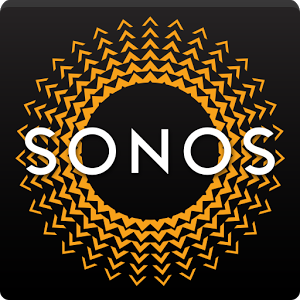 Now the app has exited beta and is ready for anyone with a Sonos sound system to download and fire up. Version 5 of the Sonos 5 offers up an improved means of exploring music, letting users explore various music services including Google Play Music, Pandora, Shuffler.fm, Songza, and others. If that doesn't do the trick, a new universal search option is available as an alternative method of discovery. 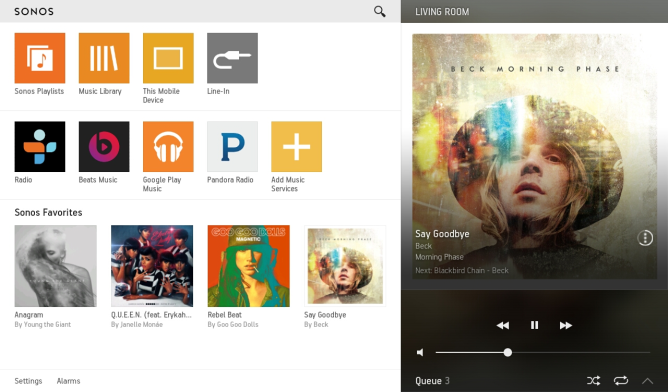 Here's the list of new features Sonos has provided. World’s Most Popular Streaming Music Services: Explore 38 (and counting) music streaming services worldwide, including many that offer a free experience on Sonos like Songza, Hype Machine, Pandora, Google Play and Shuffler.fm. Select Add Music Services from the Menu. 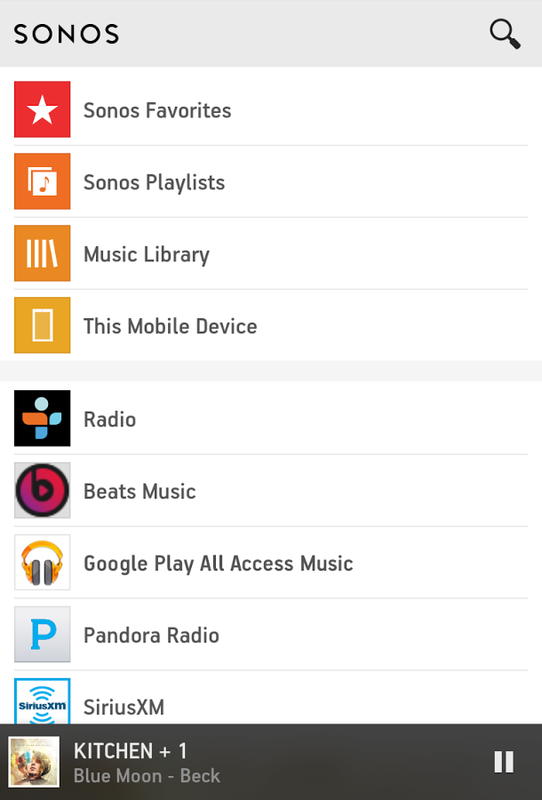 Universal Search: Only Sonos offers one window to quickly search across all your music services. Start typing an artist and discover their new album, radio station and more. Search for a track and discover all the versions across services including live performances, remixes and covers. Click the search icon in the top right corner of the Menu. Now Playing Shortcuts: Enjoy simple one-touch control from the Now Playing screen. Touch the info button to add tracks to playlists, save to favorites and more. Easily turn on shuffle, repeat, cross-fade or set timers at the bottom of the Now Playing window. Playlists: Bring your favorite music together across sources, blend tracks from Beats Music, Spotify and your iTunes library – all into the same playlists. 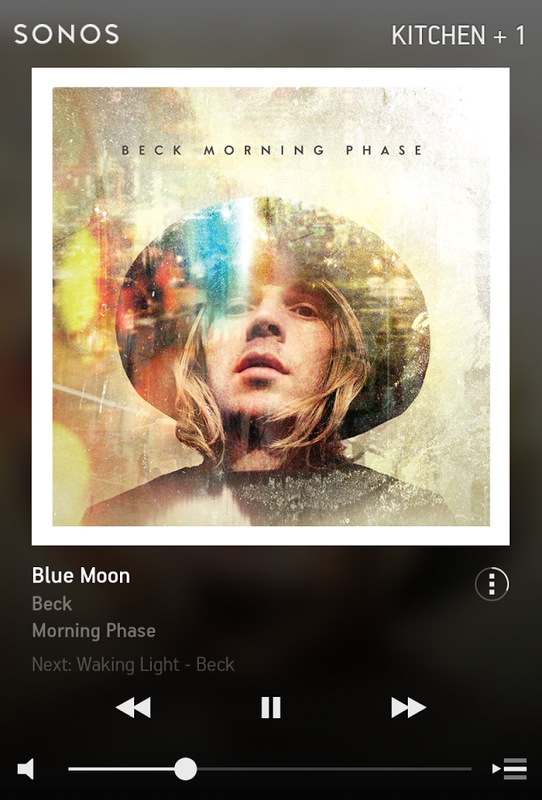 Easily add to your playlists from selecting track info in the Now Playing screen and manage them from the Menu. Alarms: Wake up to the music you love and schedule it to come on automatically whenever you want and wherever you want, like when you get home from work. From the bottom of the menu screen, set multiple alarms on as many speakers as you like. Rooms: It’s easier than ever to control all the rooms in your home from a single touch in the new app. 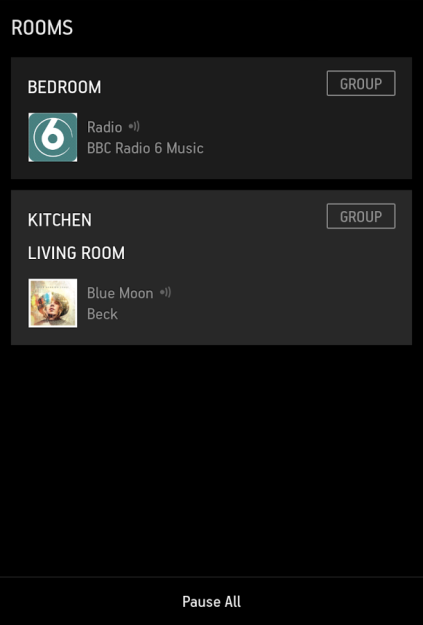 Play different music in each room or group them to play the same song simultaneously. Tap the top right corner from the Now Playing screen.